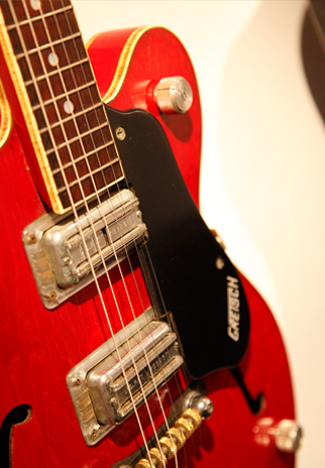 Introduced back in 2004, the Genuin FS 1 is our oldest product. During the years it has been modified 2 times getting a better support for the horn first and then introducing the ARIS feets from Aktyna. I've lost count, how many we sold of them. But now, even tough it is still a very good product, the drivers are not more available, at leas not at normal prices. This forces us to discontinue it, after a really long good service and lot of happy customers! 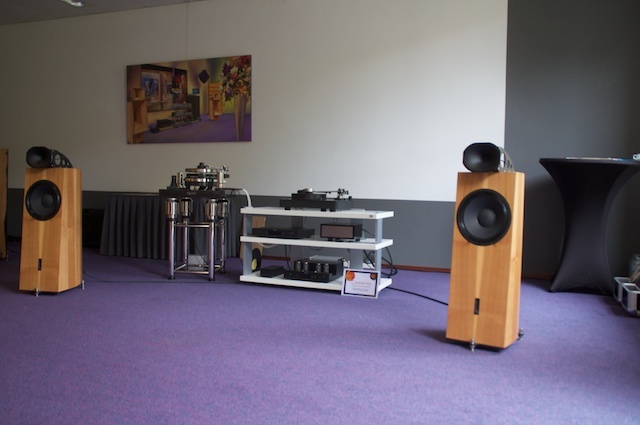 Even this year Marco de Wilde of Music2 presented an astonishing show in Veldhoven. 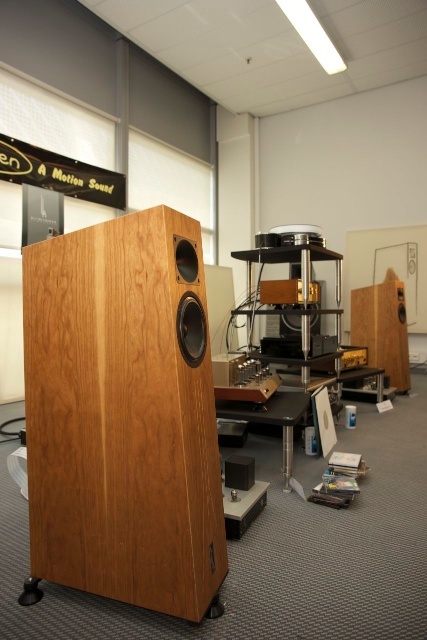 There have been 3 rooms with Blumenhofer Acoustics loudspeakers for a total of 5 systems playing. Here You can enjoy a picture gallery of the systems playing. Like last year the atmosphere was really enthusiastic and during the show lot of people showed their interest for our products. On the 30ies of January Thomas and Andrea, after a long trip paid a visit to Fritz de With of STS-Digital. We had a longer music session with several kind of music. We forgot how good the Genuin FS 1 is playing, when it is really burned in. Really good! 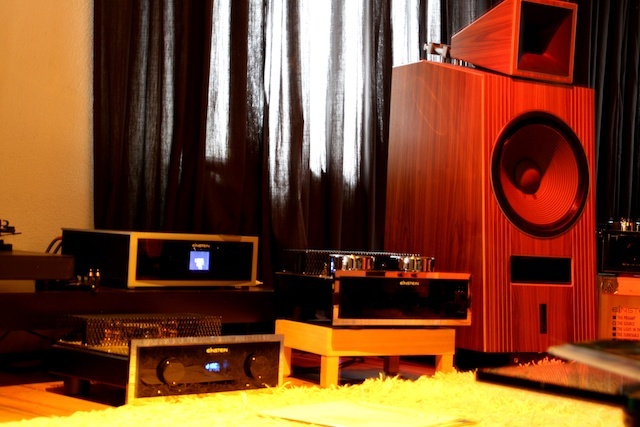 Stereoplay's chief redactor Holger Bierman has chosen the Genuin FS 1 among the 100 best loudspeaker of the world. 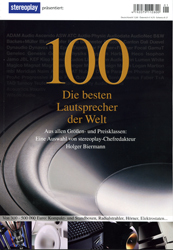 "Die 100 beste Lautsprecher der Welt" is the name of the publication, it is a special issue for this season. It is going to be available in the next few days in Germany, Switzerland and Austria. Stereoplay was recalling the experience they've had with the Genuin FS 1 at beginning of 2009, when they tested it. You can read the report of 2009 here. 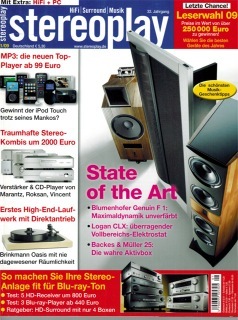 You can read the report about the Genuin FS 1 on the special edition at page 92 and 93. ...I have spent some really beautiful and enjoyable hours at the remastering studios of STS-Digital in Amersfoort in the Netherlands. 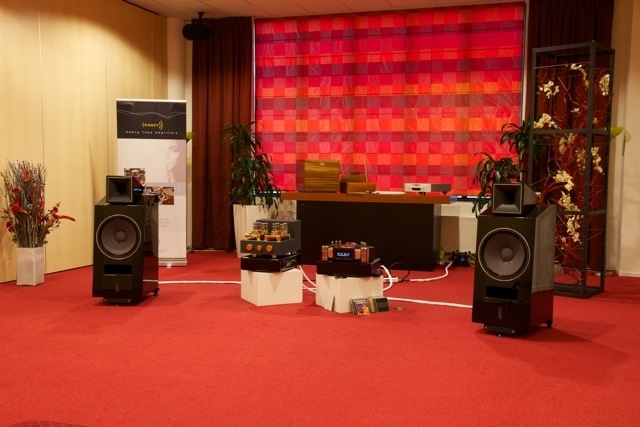 The system was composed by the top of the Marantz SACD and Power Amplifier production connected with the top of the van den Hul and Siltech cables. 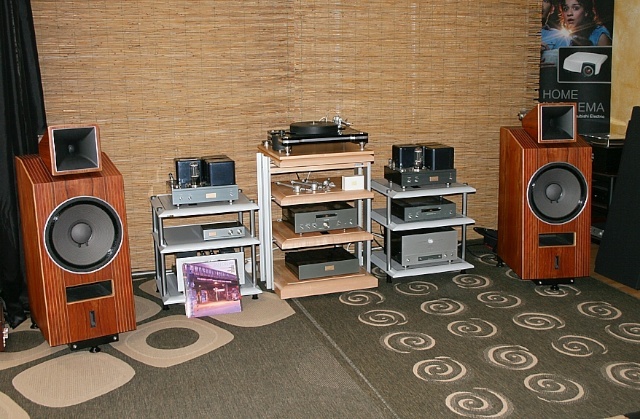 Of course the speakers were ours, the Genuin FS 1. It is difficult to describe my feeling of pure emotion. When I listen to your exceptional audio product, there is only one thing that came up; this is the genuin thing. Fritz gave me a short lesson on some interesting points concerning music and audio editing, wow, now I can understand something more about music and the way it can be enhanced to give more emotions and feeling. 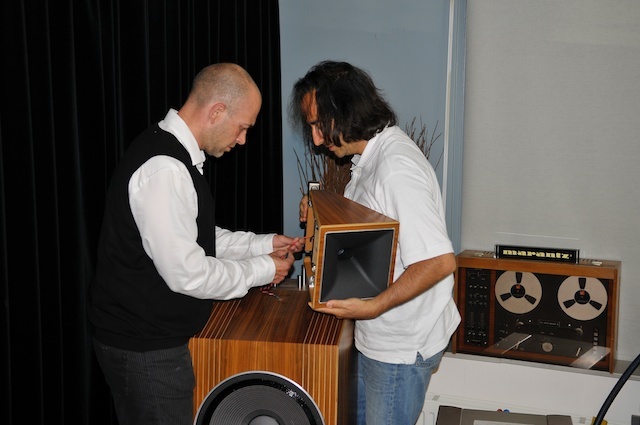 I’ll not write too much, I only forward you the words of Marco De Wilde, our distributor for the Netherlands. First of all, the show. We were asked (on a very short notice) to help out the manufacturer of Kanzy for this show with the best loudspeakers and source that we could think of, well, you know what we used. • Heavens Gate cabling (€12.500,=). All together very expensive, but also very, very good! Mostly heard commentary: Absolute best sound of the show! And this while others used much more expensive setup! 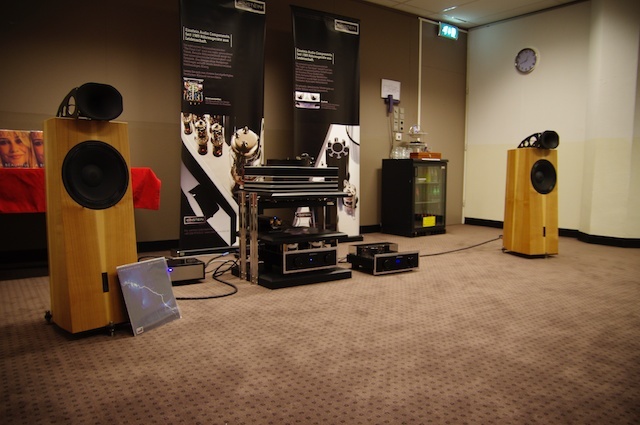 This show was organized by one of the leading dealers in the Netherlands (called Studio Alkmaar) and took place on the 19th and 20th of February at the AZ footbalstadium in Alkmaar. As I already mentioned, 9 out of 10 visitors told us we had the absolute best sound of the show, in the next copy of Music and Emotion magazine we will get the official Award for this! 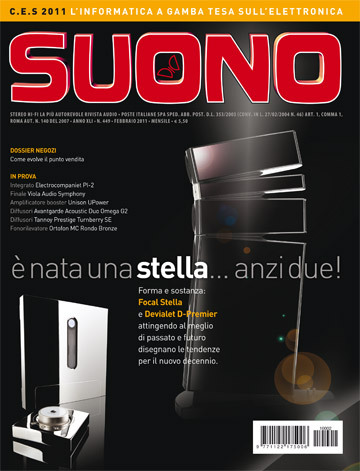 Suono’s journalist visited Sandrino’s place and there they have been listening our Genuin FS 1. On Suono 449, page 38 you can read their impression. We were astonished!! 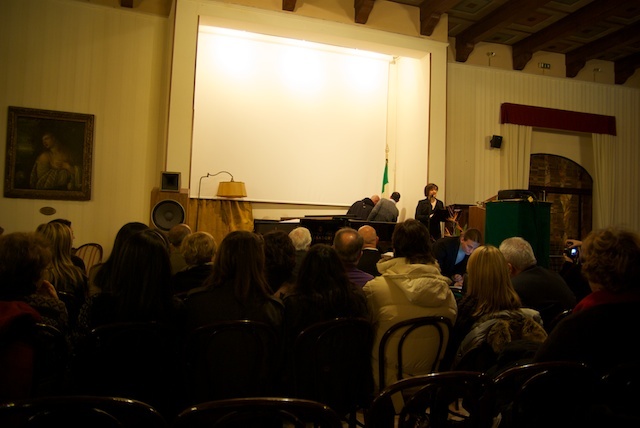 We met in Verona our good friends of MastersounD and Esperienze Audio to listen to the Piano of the Puiu twins. It was a nice event, a wonderful Venue and the piano touched our soul. 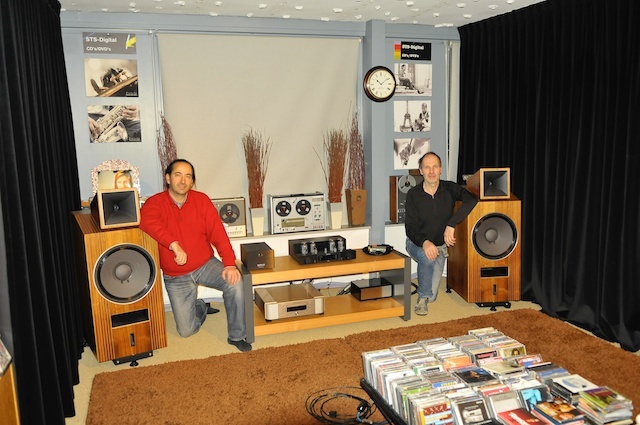 Finest, HiFi Gallery and Wines, invites to a seminar with Matthias Böde of Stereo in Bochum. It is a seminar about music. Come and Enjoy. 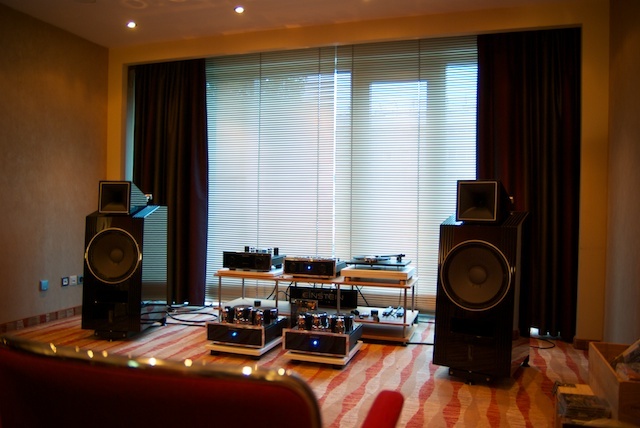 Wolfram Eifert of Stereoplay wrote in January 2009 a report about 3 sound philosophies, he tested and compared a Martin Logan CLX, a Backes & Müller BM Line 25 and our Genuin FS 1. The report of the Genuin FS 1 is here. Along with the test Thomas has been briefly interviewed. You can download the complete report of the Genuin FS 1 here.